Inefficiency irks me. For almost a decade, the Foundation for Biomedical Research kept its store order records dispersed across a dizzying array of Microsoft Excel spreadsheets and common server folders. 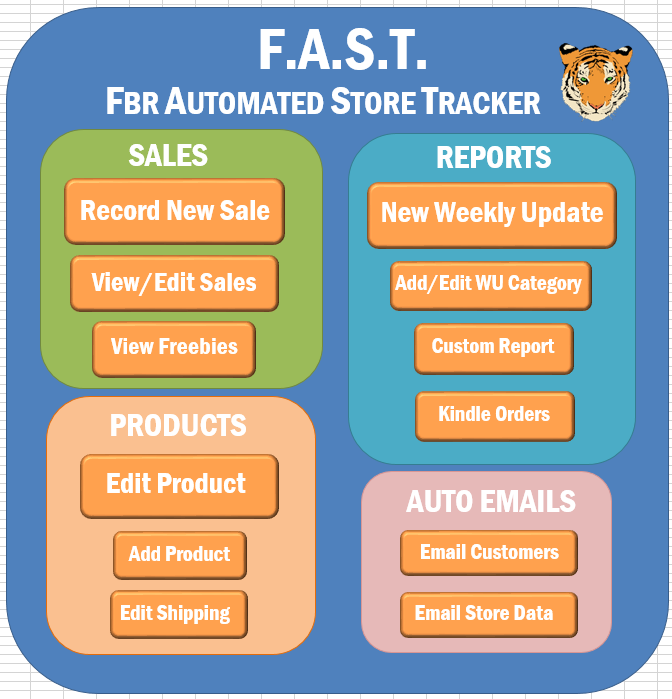 I built the FBR Automated Store Tracker (FAST) to consolidate these records and make working at FBR a lot easier. FAST is powered by Microsoft VBA (the FBR team is comfortable with Microsoft programs) and performs all the necessary functions of store management, from CRUD systems for sales, freebies, and products, to sales views, to data export, and to automatic emailing of customers of particular products.